I managed to "hit it" on this 2010! The Kawasaki has never once left me walking. What it has done: RAILED curves the Rockies, Appalachian, Adirondacks, Catskills, and all the mountains in the Southwest Desert. Delivered me to Vegas and Atlantic City to roll dice more times than I can count. Been to the beaches on the west, east, and gulf coasts. Been to a cook-out in Canada, Maine for lobster, TX for brisket, KS for BBQ ribs, Vermont for fresh maple syrup, Bayous of Louisiana for cajun, Keys for Key Lime Pie and Lobster Reuben. Its been off roading in Moab, Utah and through cactus in AZ. It got me so lost in KY once, I ended up at Loretta Lynn's home in butcher holler. Its survived riding in the extreme heat of Death Valley and AZ in July, and ran fine in extreme cold and snow in Colorado (thank God for heated suits!). It's stopped at Starbucks in most of the 50 states. Its taken me through NYC, Dallas, Phoenix, Los Angeles, DC, South Beach/Miami more times than I can count. If the next 100,000 is even half as crazy as the first has been, there are good times ahead! I've been blessed with mileage, during the time I've owned this bike I've also rode a ton of miles on 5 others (even coast to coast trips, long off-road desert adventure trips, and many track days). Last edited by stevewfl; 05-11-2015 at 10:19 PM. Wow! That's an impressive destination list! Congrats on your milestone. 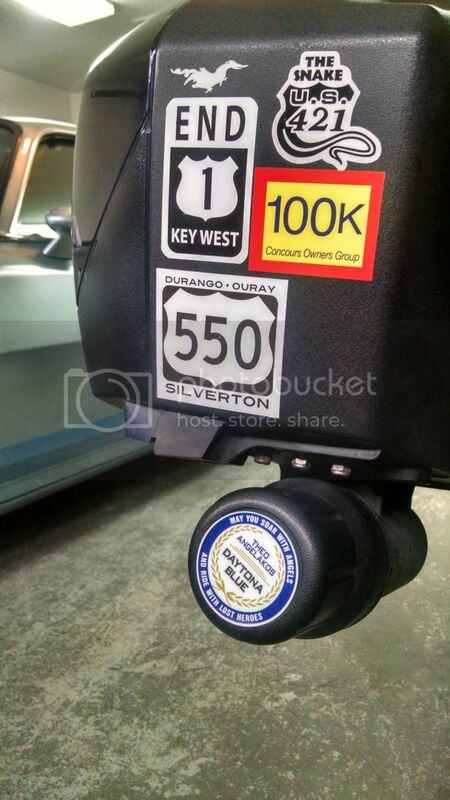 I was trying to keep up with you on the 900RR (70,000 miles), but a cargo van had other ideas for its future. Congratz! Now for another 100K! 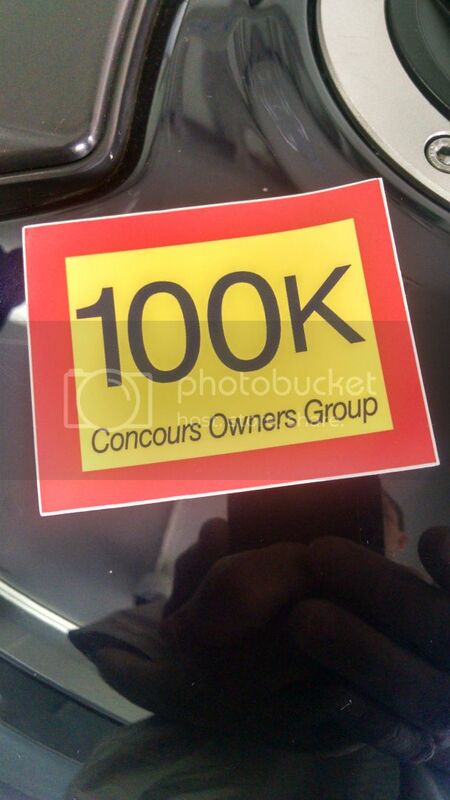 Came home from a 1300 mile motorcycle ride that included family, friends, and BBQ all over the Carolinas, found a 100K mile decal in the mail from Concours Owners Group. On the bike it went! ...you would think they had someone in the group that could design a nicer looking label. Very impressive Steve. 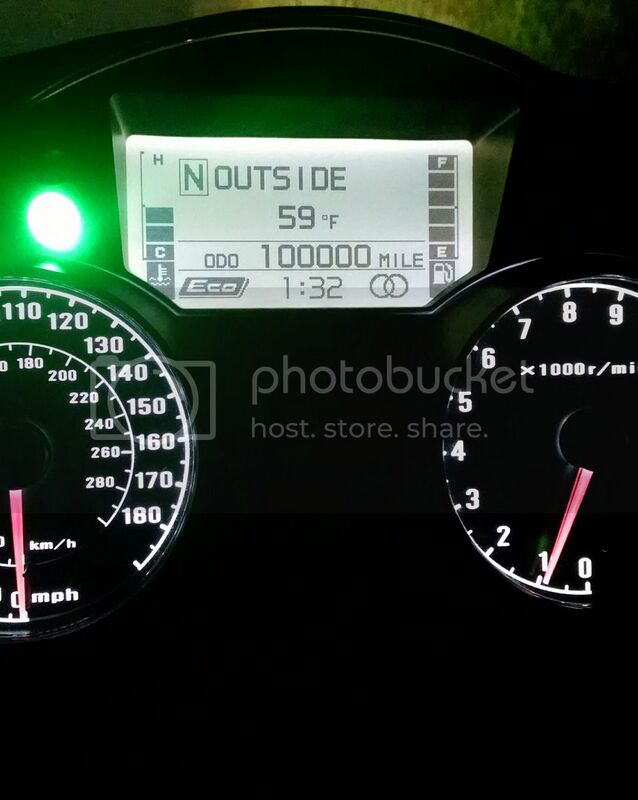 100,000 miles is no small feat and may the next 100,000 be just as eventful. Steve I remember when you bought it and rode it home in the rain and cold ect I believe. Man that's mileage. I haven't put that on my last 4 bikes. I've been in the woods, when we gonna use the orange bike ? Hi, my name is Voo and I ride dirt.